ZOEVA’s high-performing brushes not only look beautiful, but also are considered among the best in the business, enabling you to blend and buff like a pro. Plus, each brush has its name written down the side, so there’s no head scratching as to what it’s meant for (hurrah!). Their Teardrop Cover Brush (116) features densely packed flat bristles in a ‘teardrop’ shape to easily fit the angles of the face. Use it to easily blend cream foundation or concealer or effortlessly contour under the cheekbones. 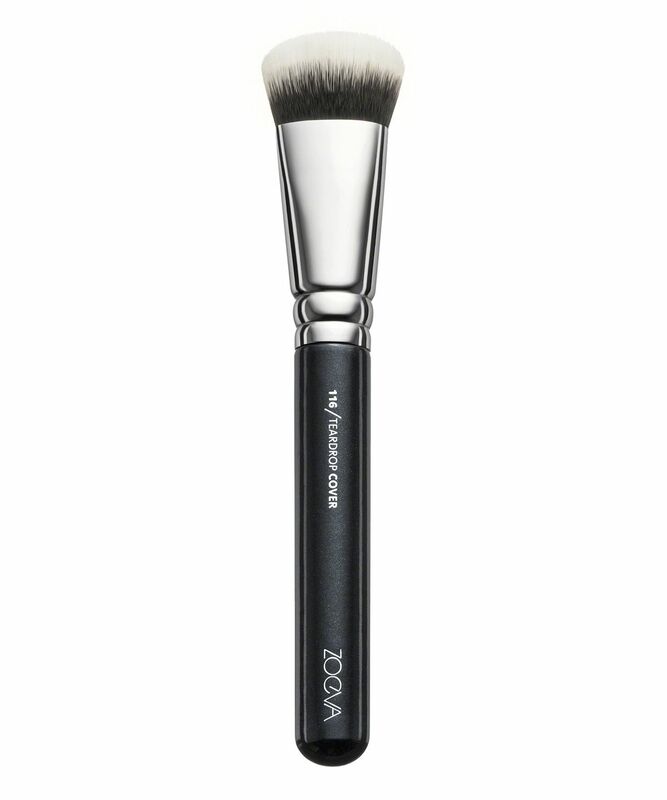 This handcrafted buffer brush is perfect for blending in cream foundations or concealers, especially for areas like under the eyes where more intense coverage is needed. The design features a chic black wooden handle, metal ferrule and synthetic (vegan-friendly) taklon bristles. ZOEVA’s collection of brushes are beloved by professionals and make up devotees alike, each one delivering a flawless finish so you can boss even the trickiest of make up techniques. For shaping: Apply a dark contour shade under your cheekbones, along the nose and at the sides of your forehead for a defined, expressive complexion. Using a darker foundation or concealer as a contour colour works as well. My clients love the way their foundation applies to their skin and always ask what brush it is I'm using. Only brush I know I can rely on to make peoples skin look flawless every single time! Definitely recommend to friends and family or any other MUA.